Percona announces the GA release of Percona XtraBackup 2.4.5 on November 29th, 2016. You can download it from our download site and from apt and yum repositories. Percona announces the release of Percona XtraBackup 2.3.6 on November 29, 2016. Downloads are available from our download site or Percona Software Repositories. Percona announces the release of Percona Server for MongoDB 3.0.14-1.9 on November 28, 2016. Download the latest version from the Percona web site or the Percona Software Repositories. Percona announces the GA release of Percona Server 5.7.16-10 on November 28, 2016. Download the latest version from the Percona web site or the Percona Software Repositories. Percona announces the release of Percona Server 5.6.34-79.1 on November 28, 2016. Download the latest version from the Percona web site or the Percona Software Repositories. 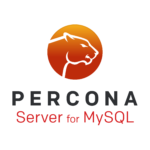 Percona announces the release of Percona Server for MySQL 5.5.53-38.4 on November 23, 2016. Based on MySQL 5.5.53, including all the bug fixes in it, Percona Server for MySQL 5.5.53-38.5 is now the current stable release in the 5.5 series. In this blog I will provide answers to the questions and queries that some of you have raised during the webinar on Nov 17th. I would like to say thank you to all of the audience who attended the talk on November 17, 2016. You can also check the recording and slides here. Percona announces the release of Percona Server 5.5.53-38.4 on November 18, 2016. Based on MySQL 5.5.53, including all the bug fixes in it, Percona Server 5.5.53-38.4 is now the current stable release in the 5.5 series.